Our tables are available in ply topped light weight style, or light weight polyethylene, suitable for indoor or outdoor use. 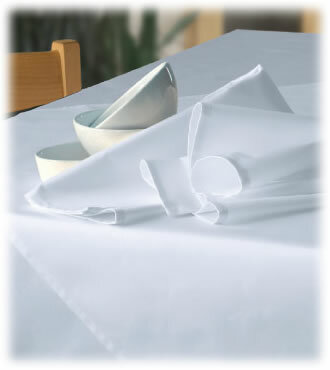 Our linen is a high quality crisp white, with an inset ivy design. If you require any items not listed on this page, please do not hesitate to contact us and we will endeavour to source them on your behalf.